In this 2016 file photo, Nicholas Willey, a native of Caribou, examines cross-laminated timber (CLT) specimens while working at the University of Maine’s Advanced Structures and Composites Center in Orono. Willey was a graduate civil engineering student and graduate research assistant, and as part of his master’s project investigated the viability of CLT made from Maine trees. The University of Maine has received a $10 million gift from an anonymous donor to help build its engineering education and design center, the largest single non-estate donation in the university’s history, the campus announced Monday. The gift comes with a naming option, meaning the donor will have a say in the center’s name. UMaine is in the midst of a lofty fundraising campaign, Vision for Tomorrow, with a goal of $200 million. This donation brings that amount over $148 million. The engineering center is the top priority of that campaign, according to UMaine’s president. “This investment builds on the remarkable growth and success of UMaine engineering,” President Susan Hunter said in a news release. The engineering undergraduate program has seen its enrollment increase 70 percent since the start of the millenium. “The engineering education and design center [EEDC] will help the College of Engineering expand its capacity to help meet student demand and Maine’s need for engineers,” Hunter added. Demand for engineers is high in Maine, with about 1,450 job postings listed between June 2015 and June 2016, according to the university. Campus officials are trying to pump more people into the program and hope the new center will serve as a draw and give them the capacity they need. UMaine pinpointed engineering as one of its “areas of excellence” in 2014, when campuses started to identify their strongest, most vital programs. In all, UMaine expects the center to cost about $80 million. The Legislature previously backed the project, offering to cover debt service worth up to $50 million. The university hopes to secure the remaining $20 million in funding during the coming months. The university hired WBRC Architects and Engineers in Bangor and Boston-based Ellenzweig to design the building, but no renderings have been released. The project should break ground in 2020, with the center opening its doors by the fall semester of 2022. 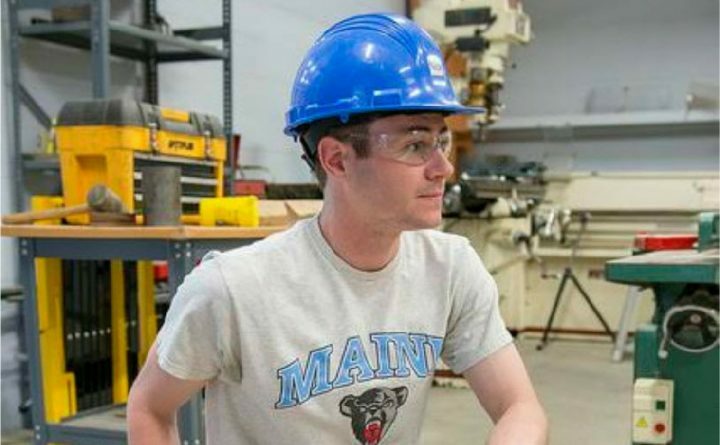 UMaine officials said the donors have asked to remain anonymous for the time being, but did reveal that the money came from the family of a graduate of UMaine’s engineering program. The University of Maine System board of trustees voted to accept the gift during a meeting earlier this month.